ArkCase Case Management is a modern, flexible and scalable software that we have been building for a long time. We have invested millions of dollars in this software and have configured it to some key industry verticals such as FOIA, Complaint Management, Incident Management, Human Resources Management and so on. This software is used in various government and privately held organizations and thanks to it, teams work more efficiently than ever. Now, we are making the next bold step. We are opening up this software to the community. Yes, ArkCase goes Open Source! We are very excited about this step, as there are very few case management platforms of this caliber that are available to the community of developers. We have poured in a lot of work and will be offering the full technology stack needed for teams to build their own case management solutions based on ArkCase. The entire suite will be packed in a single downloadable file of a few gigabytes with a very simple installation/setup procedure. Once you download the pack, you can install it on any operating system, be it a Linux system, or a MAC or a Windows PC. We took this approach as we wanted to make it as easy as possible for teams to deploy the full stack and start building a customized solution. Why are we releasing ArkCase as open source software? Because we want it to grow larger and larger, and the only way to see our baby grow is to release it to the public and let other teams build on top of what we provide. Will ArkCase Open Source Differ In Any Way? ArkCase Open Source is still a web-based, workflow-driven case management platform designed to help organizations manage, automate and analyze their cases. It has easy to use installer and supports both Windows and Mac OS. The only difference is that with the open source package, you will be managing your own installation, while the ArkCase SaaS will still be a managed platform. ArkCase correlates with leading technologies that make up the entire ECM business process. It offers out of the box all the services you need. The full software stack is in the installation package. ArkCase Open Source still has seamless integration with Ephesoft, Alfresco, Microsoft Exchange, Oracle, and Windows Server Active Directory. ArkCase Open Source is still capable of handling all the processes from data capture, data management, delivery to support modernization. This setup helps the organization to both adhere to data governance and compliance requirements, and modernize their business processes. In other words, the ArkCase Open Source as a platform enables you to store a huge amount of big data in a compliant way, with flexibility to effectively work with cases. The only difference as noted is that you set up the software on your own hardware infrastructure. You can add modules/plugins for any workflow scenarios your company is facing, and ArkCase Open Source will work any way you want it to. Affordability – It is freely distributable and available for every organization that needs a fully functional out-of-the-box case management platform with the entire software stack pre-configured. Security – In a business environment, Case Management software is a tool that continuously develops and need to be stable and reliable. 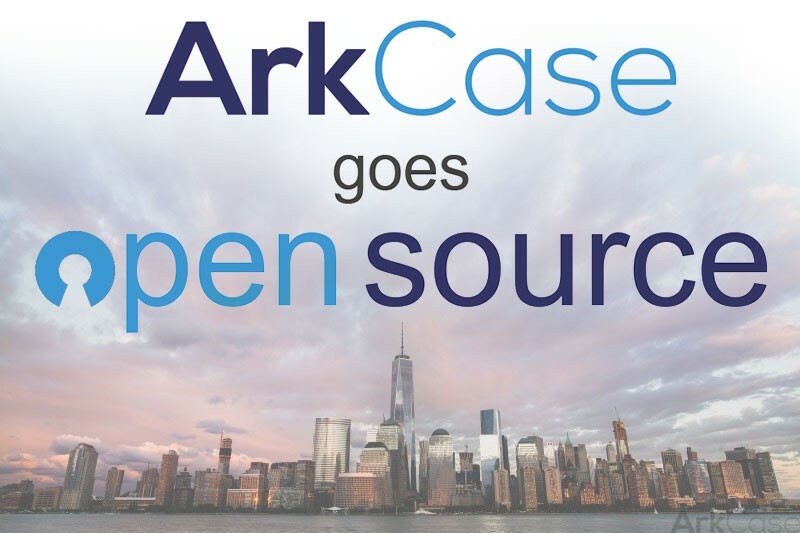 ArkCase Open Source platform offers a secure solution for organizations that need a reliable case management platform hosted on a local hardware infrastructure. Flexibility – It goes without saying that open source platforms are far more flexible than proprietary ones. This is another key feature of ArkCase that allows businesses build solutions based on their changing business goals or regulatory needs. Speed – All the processes are optimized and quick. That means you will have more freedom to focus on your goals. Future-proof – ArkCase Open Source installer comes with the full software stack, and all of the individual parts are in and of themselves, matured and reliable technology. This makes it perfect on the long run, as case management platforms should stay with organizations for a very long time. We are on a countdown when ArkCase will go Open Source. We are excited at all the possible ways people will use our technology to build customized case management solutions for their organizations. This is an exciting period for anyone dealing with case management. If you want to hear when the installers are ready, make sure to connect with us on our social profiles. Any updates on the date like when it will be open source ? Wanted to evaluate it for a customer soon.